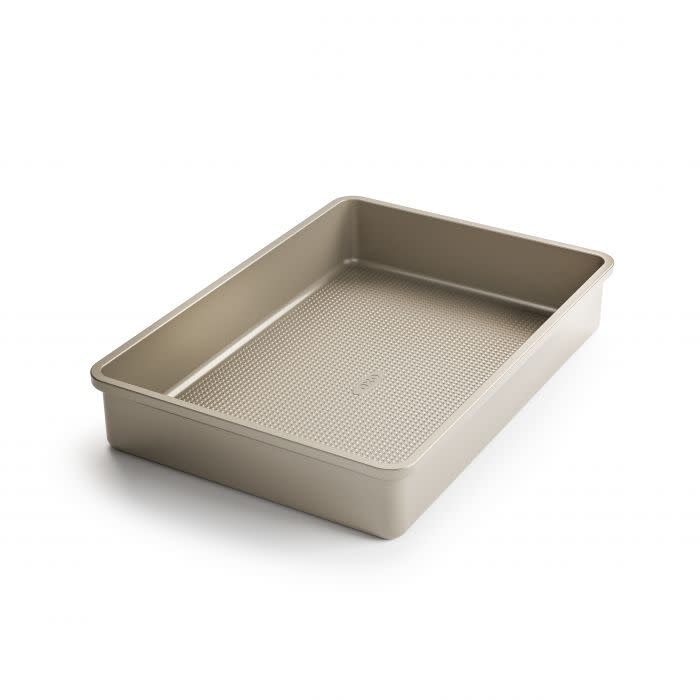 Non-Stick Pro Cake Pan features smooth, seamless bottom corners for easy cleaning, and square-rolled top edges for structure, strength, durability and a secure grip when handling. Side walls are straight for making uniform layer cakes. 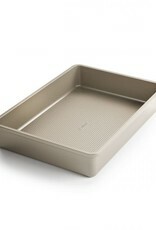 Micro-textured pattern ensures even baking.